Price Drops Again!Today, B&H has a great deal on Tokina 11-16mm F/2.8 ATX Pro DX II Lens for only $329.00. It is available for Nikon and Canon Aps-C digital cameras with Tokina 3 Year Warranty. You can also check price at Amazon. This entry was posted in Hot deals, Tokina lens and tagged Tokina 11-16mm F/2.8 ATX Pro DX II Lens deals/ cheapest price on October 18, 2018 by admin. Price Drops Again! Adorama has a great deal on Tokina 11-16mm F/2.8 ATX Pro DX II Lens for only $329.99. It is available for Nikon and Canon Aps-C digital cameras with Tokina 3 Year Warranty. This entry was posted in Hot deals and tagged Tokina 11-16mm F/2.8 ATX Pro DX II Lens deals/ cheapest price, Tokina lens deals on February 17, 2016 by admin. Super Hot! Adorama has a great deal on Tokina 11-16mm F/2.8 ATX Pro DX II Lens for only $359.99, while B&H sold it for $449. It is available for Nikon, Canon and Sony A mount Aps-C digital cameras. This is $119 Off! This entry was posted in Hot deals and tagged Tokina 11-16mm F/2.8 ATX Pro DX II Lens deals/ cheapest price, Tokina lens deals on December 11, 2015 by admin. 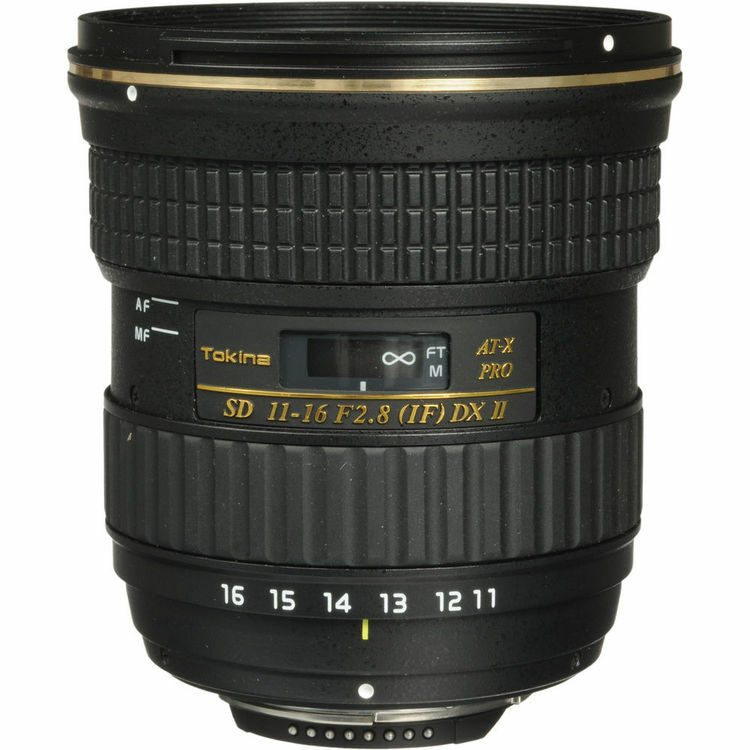 Robertsdigital (99.3% Positive feedback) has a great deal on Tokina 11-16mm F/2.8 ATX Pro DX II Lens for only $349.00. It is available for Nikon and Canon Aps-C digital cameras. This is $80-100 cheaper than at Amazon. This entry was posted in Hot deals and tagged Tokina 11-16mm F/2.8 ATX Pro DX II Lens deals/ cheapest price on October 20, 2015 by admin. Adorama has a great deal on Tokina 11-16mm F/2.8 ATX Pro DX II Lens for only $399.00. It is available for Nikon DX mount. This entry was posted in Hot deals and tagged Tokina 11-16mm F/2.8 ATX Pro DX II Lens deals/ cheapest price, Tokina lens deals on August 5, 2015 by admin.